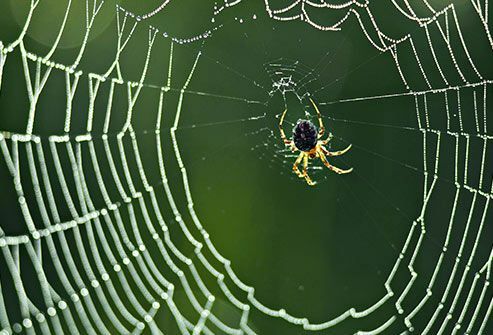 Spiders are blamed for all kinds of things that turn out to be skin infections or some other bug’s fault. Most don’t even have fangs long enough to break your skin. When they do bite, they're typically harmless. 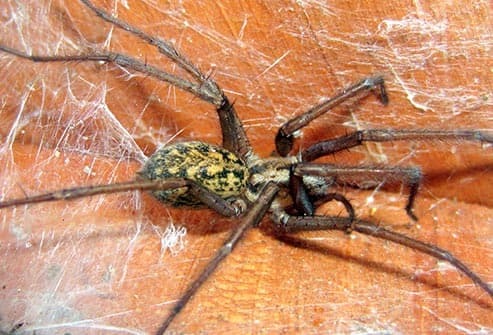 In the U.S., only the black widow and brown recluse have venom strong enough to really hurt you. And their bites are rarely deadly to humans. They’re pretty much just like an insect bite. For the most part, you can’t tell a spider bit you just from your symptoms. You’ll get a little bump on your skin. It might get red, itchy, and swell up a bit. It might hurt, but no more than a bee sting and usually not for more than an hour or so. That’s basically it -- unless you're bitten by a venomous spider. This spider’s telltale sign is the red hourglass shape on the bottom of its big, round abdomen -- the back part of the body. Black widows are shiny and black and about half an inch long. You can find them anywhere in North America, but mostly they’re in the southern and western areas in the U.S. They like quiet, out-of-the-way places like closets, sheds, garages, and woodpiles. 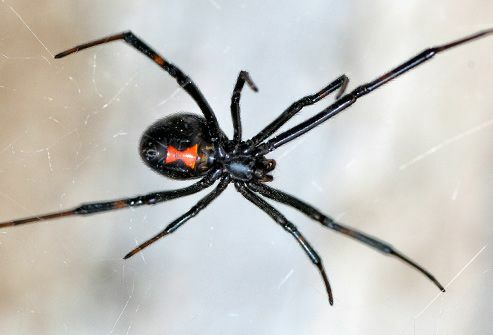 What’s a Black Widow Bite Like? The bite feels like a pinprick, so you may not notice it. The first signs might be small, red marks with some swelling. Within an hour, it’ll hurt a little more, and the pain might spread to your back, belly, and chest. You might have stomach cramps, and your belly might feel a little stiff. You may also sweat a lot. In serious cases, you can have trouble breathing, along with a fast heart rate, nausea, and vomiting. 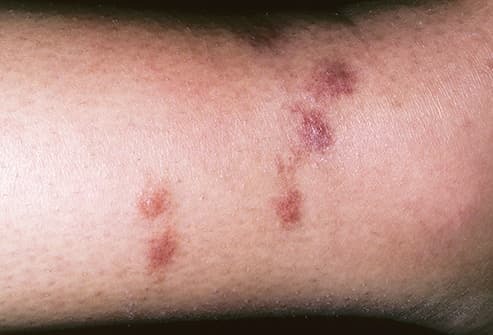 The area around the bite may continue to get redder and more swollen. People sometimes say to look for the small violin shape on the part of the body where the legs attach, but that’s easy to get wrong. Check the eyes instead. Most spiders have eight eyes in two rows of four. Here, look for six eyes: two in front, and two on each side. They live mostly in the southern Midwest and parts of the South. They like to stay indoors, tucked away deep in the stuff in your basement or attic. 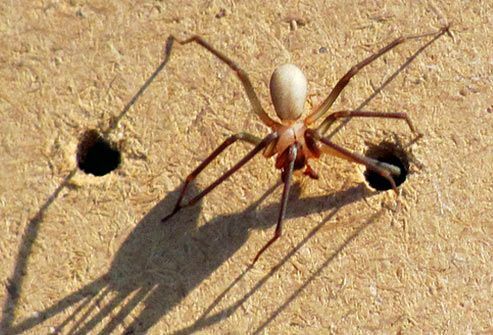 What’s a Brown Recluse Bite Like? You might feel a little sting at first, but it’ll hurt more over the next 8 hours. You also might see a small white blister that has a red ring around it, like a bullseye. 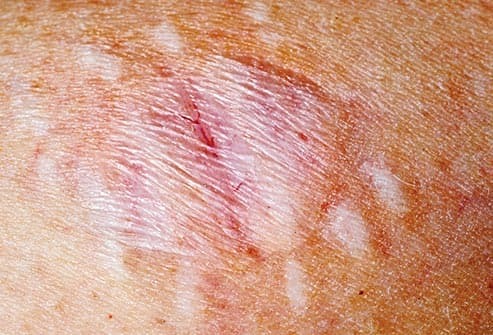 Sometimes, the skin in the middle of the bite can turn blue or purple, and you may have an open sore that gets bigger for up to 10 days. It doesn’t happen often, but some people also have other symptoms like fever, chills, rash, and an upset stomach. Their big, hairy look is much worse than their bite. At least this is true for the ones in the U.S., where you find them mostly in the Southwest. Make no mistake, their bite hurts, sometimes for up to a week. It might also get red and warm, but that’s the worst of it. 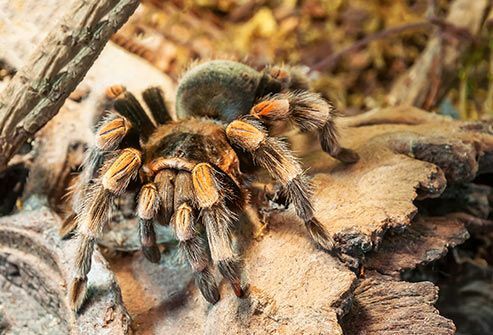 Some types of tarantulas can also flick fine barbed hairs from their belly at you. If these stick in your skin, they can cause itching, swelling, and irritation. These look a lot like black widows, but they don’t have the red hourglass. And their color ranges from purplish-brown to black. They like to cozy up in homes along the Atlantic, Gulf, and Pacific coasts. Pain from their bite can get worse in the first hour and you may get some blisters around it. It might make you feel generally sick with a headache or an upset stomach, but this will pass within a few days. At one point, these were thought to be really dangerous, like the brown recluse. But the past 15 years of research says they’re mostly harmless. You won’t get much more than some redness and mild pain, and maybe some swelling. They’re found in the Pacific Northwest, usually in places like woodpiles and retaining walls. They often have a light stripe running down the middle of their bodies. The first steps are the same for all spider bites, even those from a black widow or brown recluse. 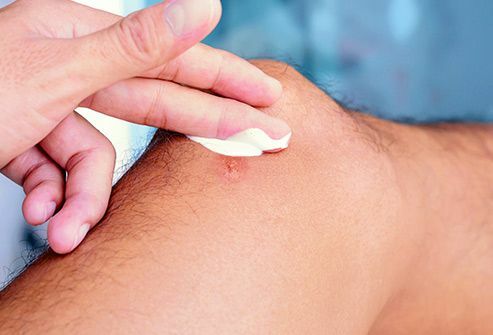 Clean the area with soap and water and put on some antibiotic cream. Then take a cloth and wet it with cold water or wrap it around some ice and put that on the bite. If you were bitten on your arm or leg, raise it up. You can take acetaminophen or ibuprofen for pain and an antihistamine for swelling. 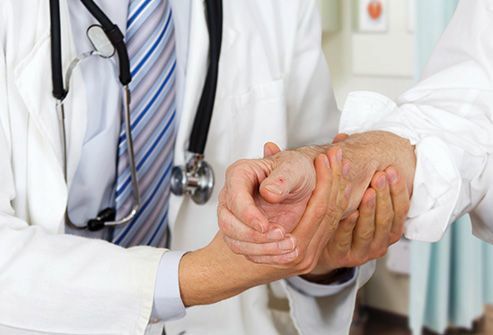 Get checked out right away if you have symptoms beyond the bite, like serious pain in your belly, cramps, throwing up, or trouble breathing. You also should see your doctor if you have an open sore or a bullseye mark, or if the bite gets worse after 24 hours. Look out for things like pain around the bite getting worse, redness that’s spreading, and fluid coming from the bite. If you can do it safely, take the spider with you, even if it’s dead. 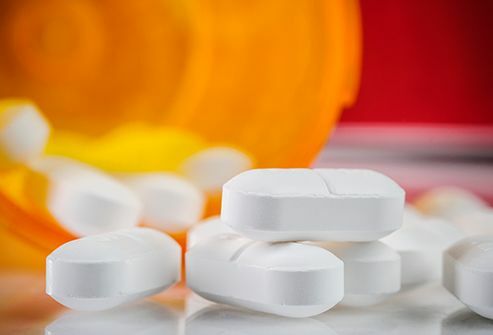 You may get prescription drugs to ease the pain and relax your muscles. 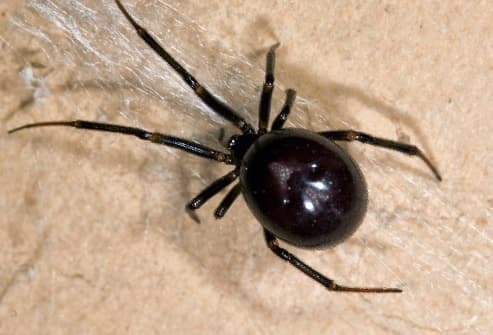 There’s an antivenom for black widows, but it’s rarely used because some people have a serious reaction to it. And it’s almost never really needed. It’s saved for more serious bites in the very young, very old, or people who have other health issues. This is mostly about managing the wound so it doesn’t get infected. If you have a bump and redness, your doctor might recommend antihistamines or a cream to help with swelling and itchiness. For an open sore, you need to clean it daily and use antibiotic cream. 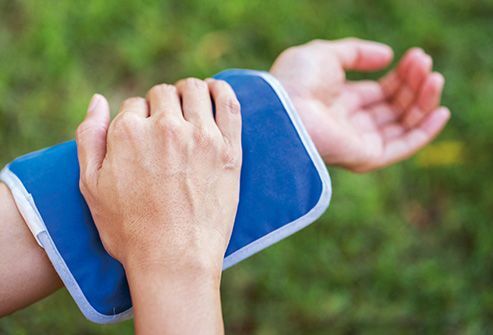 From there, you should keep an eye on things, especially for symptoms beyond the bite, like fever or chills. 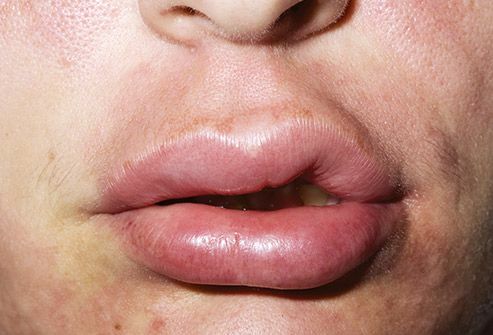 It’s not very common, but just like with bee stings, some people are allergic to spider bites. Watch for swelling in your face or mouth, trouble talking or swallowing, tightness in your chest, or trouble breathing. If you feel any of these symptoms or see them in someone you’re with, get help right away. 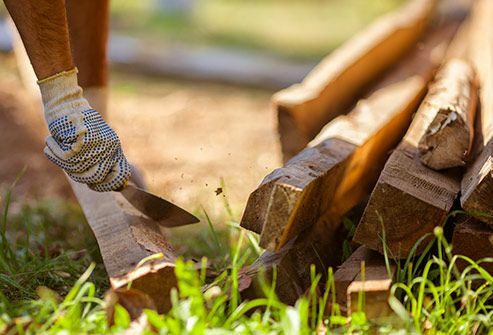 If you’re poking around in woodpiles, sheds, attics, and other areas, wear long sleeves and a hat, and tuck your pants into your socks. Make sure to shake out work gloves, boots, and clothes you haven’t used in a while, because spiders can hide in them, too. And don’t keep rocks, lumber, or firewood near your house. Inside, don’t put your bed directly against the wall, and don’t store things under it.